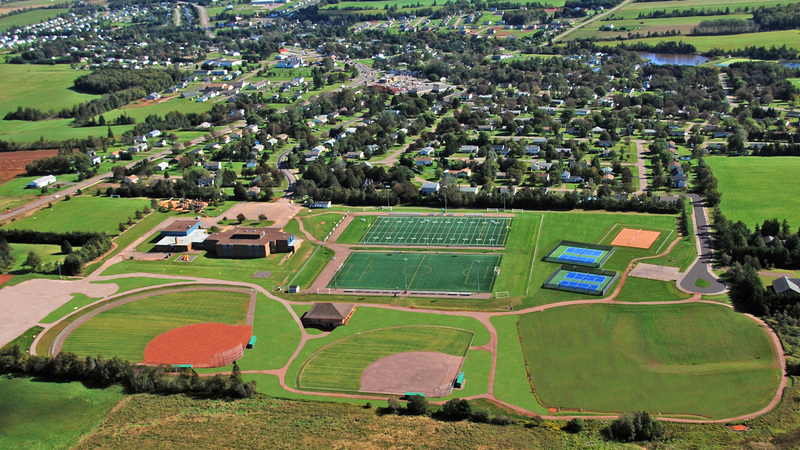 The Province of Prince Edward Island is totally dependent on groundwater for its source of drinking water. As groundwater flows through an aquifer it is naturally filtered. The natural filtering process and the long residence time underground means that groundwater is usually free from disease-causing organisms and requires very little treatment. However, for the purpose of public health, the water is disinfected (chlorinated) to ensure a high level of water quality to the points of delivery and consumption. The Water and Sewer Utility is responsible for the maintenance and repair of the Town’s water systems including water pumping stations to provide residents and business with an adequate supply of high-quality drinking water. The water distribution system includes 4 water pumping stations (8 wells), 1 reservoir, 1 booster station 115 hydrants, mains (45 km.) and services. The Town of Cornwall Water & Sewer Utility operates a sanitary sewer collection and treatment system that removes contaminants from wastewater and household sewage to produce an environmentally safe fluid waste stream (or treated effluent) and a solid waste (or treated sludge) suitable for disposal. The sanitary system includes 2 aerated lagoons with UV disinfection, 10 lift stations, 548 manholes, mains (47 km.) and services. The Town issues invoices on a quarterly basis in January, April, July and October. All properties within the Town of Cornwall where service is available are subject to water and sewer charges. To date, only commercial customers are metered.